On their first romantic getaway, two lovers begin to dissect their relationship. 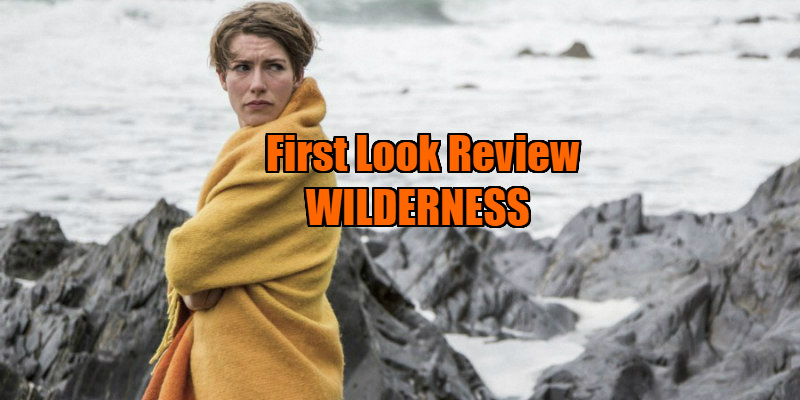 Wilderness, a feature film written by Neil Fox and directed by his long-time collaborator Justin John Doherty, opened the London Independent Film Festival in Leicester Square on May 12th 2017. The story concerns two people, John (James Barnes) and Alice (Katherine Davenport), caught up in a fevered physical love affair. However, John is a touring jazz musician and their affair has consisted mainly of moments snatched between tours and after late-night gigs. It appears that, despite their fervent declarations of love and devotion, these two people don’t know each other very well. One weekend they take the opportunity to hire a remote cottage and spend some quality time together. It turns out not to be the romantic getaway they expected, as secrets begin to surface and tensions arise, threatening their relationship. The fragility of their bubble of infatuation is exposed, as they discover the failings, flaws, vulnerabilities and manipulations that have so far eluded them in their mutually idealised passion. On a drunken evening with John’s old friends, Alice dances provocatively with Charlie (Sebastian Badarau) and berates men with his wife Francis (Bean Downes) for ‘keeping secrets’ when she stumbles upon the revelation of a past affair, although she herself offers no insight into her own past life. John declares that he has never met a woman like Alice, and characters in the film agree that Alice is ‘quite something’. Maybe so, but I could not fathom quite what. Her emotions and moods seem to turn on a dime, leaving John, unsurprisingly, in a permanent state of self-doubt and insecurity. Interestingly enough, despite being female, I found that I personally empathised with John, as like him I rarely understood where Alice was coming from or where her emotions might lead her. She appears undeniably sexual, warm and loving, but also critical and manipulative when challenged. She declared that she knew herself well, while criticising John’s lack of self-knowledge, but her explanations of her own actions seemed to do more to obfuscate her connection to the relationship than clarify it. The shadow of indie film pioneer John Cassavetes hangs heavily over the film, as it presents problematic characters whose inner lives and desires are not easily understood. Some scenes are largely improvised and it is not a requirement for the viewer to empathise with the characters as they unpick their emotional responses and connections. My own mystification regarding John’s infatuation with this woman only increased as the movie progressed. Certainly, as Alice repeatedly implied, John had a tendency to introspection and self-flagellation, and I suspected there was some masochistic need in his attachment to her. Often, rather than comfort him, Alice’s tendency was to point out John’s flaws while demanding love and understanding for her own failings. Alice might have a great capacity for romantic love, but arguably not the kind of love that is supportive or nurturing to others. Her repeated mantra was to ‘sit in it’ – implying one should live in the moment, be it sweet, bitter or simply elusive. 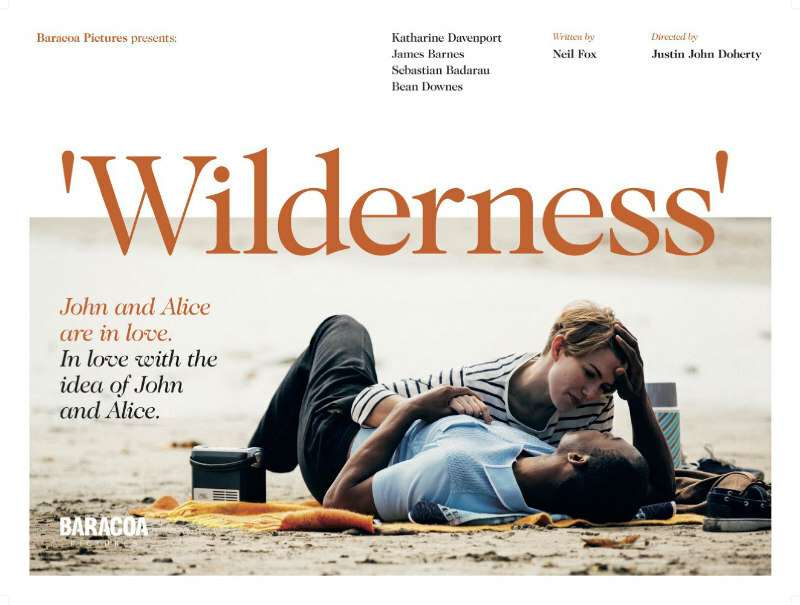 Davenport was presented with the best actress award at the London Indie festival, for her portrayal of Alice in Wilderness – well deserved, as it was her brave, naturalistic performance that made a difficult and not always likeable character still compelling to watch. The film is a thoughtful study of the construction of a passionate, yet fragile relationship, and an examination of how infatuation can make one behave in ways which are confusing to oneself, as well as to others. Near the end of the film John states, ‘I’ve talked so much and said nothing, I’ve thought so much and learned nothing’, and that, it seemed to me, was the crux of the matter – how well do we ever know ourselves or the object of our affection? How much is merely a construct that we build in order to enable us to continue being ‘in love’ – with our partner, or perhaps with just the idea of what ‘being in love’ is supposed to mean? Those brain chemicals are so addictive and we’re all just junkies, after all.